To complement the recent release of Battlefield 2 Update 1.50 (you downloaded and installed it, right? ), we have a small Sandbox update for you today. Sandbox 1.0.1 adds the eight new maps in Update 1.50 to the mod, allowing you to familiarize yourself with the potholes of Road Rage and ditches of Taraba Quarry, then drop boats on them. This release also fixes a few bugs that were discovered by players in 1.0 over the past couple of months. Sandbox 1.0.1 is fully compatible with Sandbox 1.0 - as long as you have BF2 1.50 installed, you can join any servers running either 1.0 or 1.0.1. Of course, server admins should go ahead and update now. You can see the full changelog in the readme. Sandbox 1.0 brings lots of improvements and new features to the table. The first thing you'll notice is the totally revamped interface. We've added a simplified server browser that lets you hop into a game quickly without having to worry about messing with the server filters. Once you start playing, you'll notice the new spawn buttons that feature pictures of each of the 195 spawnable objects and vehicles. 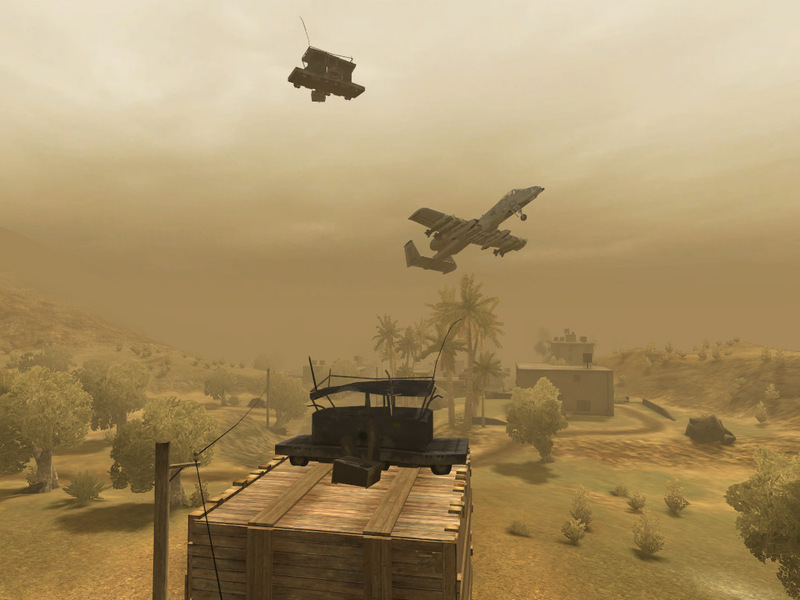 Of course, Sandbox 1.0 includes an even greater variety of vehicles from the world of Battlefield 2, as well as some custom vehicles from great BF2 modders like SatNav. 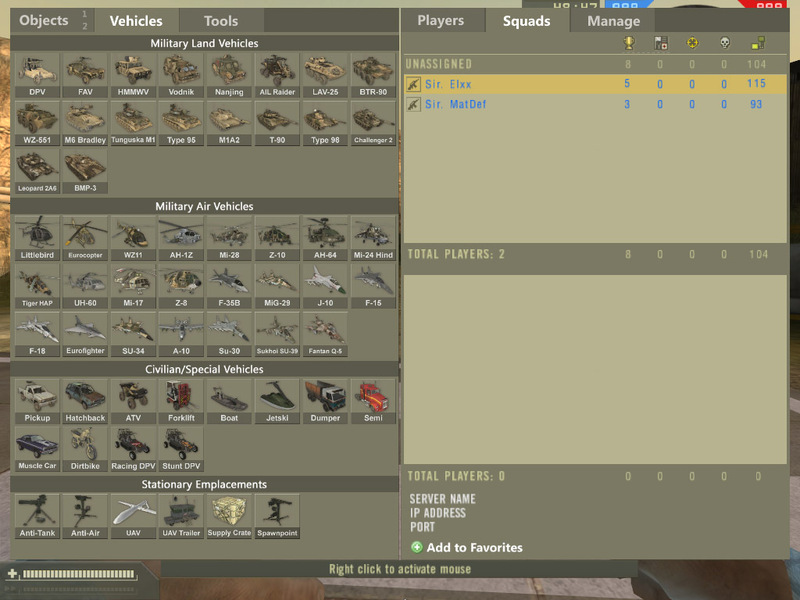 The kit selection screen has been streamlined with the ability to spawn with any of the core BF2 kits from all three teams, in addition to the usual Construction and Zombie kits you know so well. To help those with aspirations of reconstructing Burj Dubai, we've added a jetpack to the construction kit that lets you quickly fly around without worrying about taking damage crashing into things. The previous release of Sandbox brought you the ability to "group" your creations and save them online, making it so much easier to trap your friends in boxes when they weren't looking. With this release, we're introducing the ability to animate your objects and groups. You can build a garage with a door that opens, a house with a functioning elevator, or a death box that crushes your friend to death after you've trapped him inside. Sandbox is truly fun for all ages! Over the years, Sandbox has had an awesome community of fans that have modified our code to add their own features. 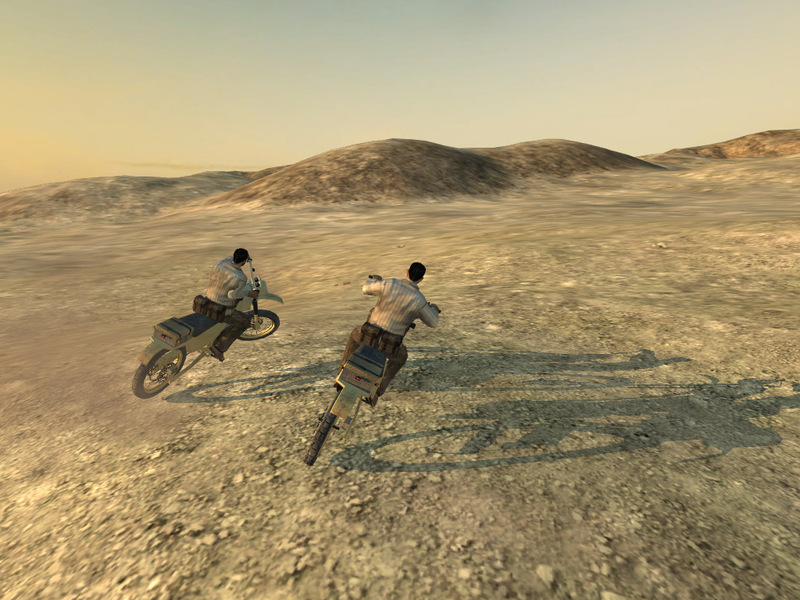 We can say with confidence that Sandbox would not still be going without these adventurous coders. To help you guys out, we've completely rebuilt the gameplay logic from the ground up, allowing for addons to be created that easily plug in and add new features to Sandbox. It is now much easier to customize Sandbox to your liking and make sure your server is the most popular one of all.